We live in a world – the digital age- where we virtually do everything online from corresponding to shopping, banking and socializing. We send and receive emails; shop for virtually everything online; socialize through Facebook, Twitter and Instagram etc; watch movies on YouTube and Netflix; check our bank balances; store our music collection on iTunes – we do everything online. 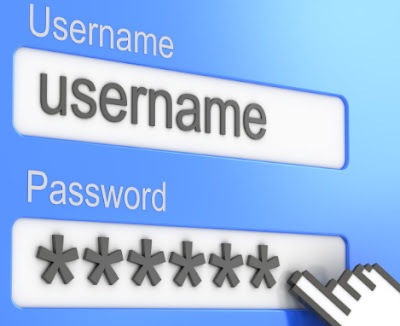 The average person has at least 25 online accounts, all with different passwords and web addresses. But what happens to them when you die or become incapacitated? There are currently lawsuits going in the United States right now where people are suing online companies like Facebook and Yahoo for refusing to give them access to their deceased ones’ accounts. Your digital accounts will not know you’re no longer around and will keep your accounts open and continue to send updates, receive emails etc. When it comes to closing accounts owned by deceased persons all the online platforms have different policies – some companies insist you send them written confirmation while others will insist on seeing a copy of the death certificate and power of attorney, especially if it’s a bank, PayPal or Bitcoin account. Likewise financial assets or monies held in any of the various crypto currencies will require a lot of paperwork to close the accounts and transfer all monies accrued. Whilst it’s not possible to let everyone know what you’re doing online all the time it’s a good idea to draw up a list of where you have accounts. This will make it easier to deal with your affairs should you die or become incapacitated. A simple way around this is to have a little ‘Black Book’ where you record every password and online account you have. This can be an actual notebook ( – if you’re old-fashion like me! ), stored on a USB stick or stored online. It’s necessary that you keep it where people such as your lawyer, next-of-kin or power of attorney can find it and use it to access your accounts ( Please for god sake keep it where nobody with fraudulent intent can find it, or they’ll be able to access your accounts and you’ll be a very poor and sorry person!). Once your trusted ones are able to access your accounts through the info you leave behind in your ‘Black Book’ they’ll be able to unsubscribe you from all lists and close your accounts following instructions on the individual websites. Also there are companies such as eclosure.com.au that specialize in digital estate management. Eventhough the law is not yet clear on online accounts and virtual assets it’s a good idea to leave clear instructions on what you want done, for instance who gets access to your music collection in cloud storage and who gets to keep the commissions from your YouTube and Blogger accounts and should they keep running after you are no longer around. Hopefully , in years to come there will be laws outlining what can be done to access deceased persons’ online accounts, but until then its best to have a little ‘Black Book’ with all your passwords that people can use to unlock your online life. THANKS MR. TONY for this insightful, sensible and educative piece. Your opinions are always inventive and as vintage and fresh as a new wine. I am proud to have you on this platform always hence, I always read any piece written by you.